PEACE AND 사랑. www.facebook.com/dodgingkarma. 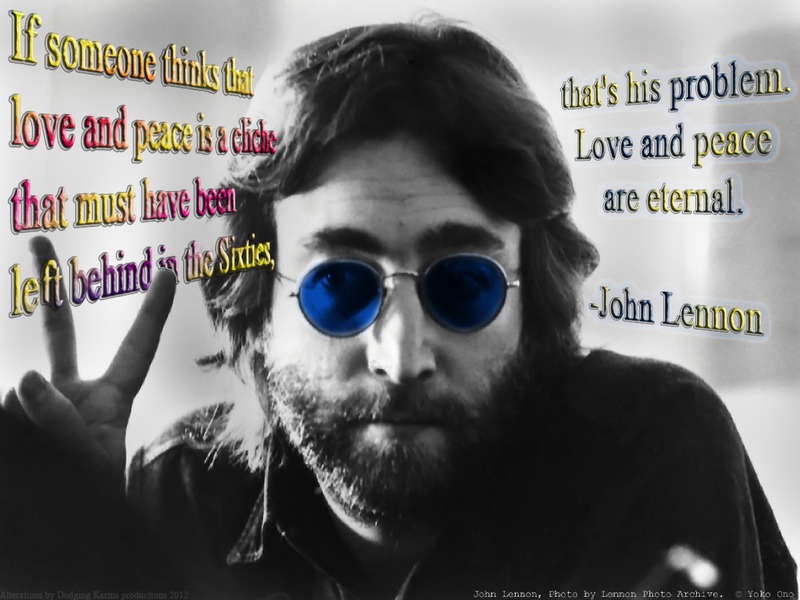 HD Wallpaper and background images in the John Lennon club tagged: john lennon lennon musician 1960s peace. 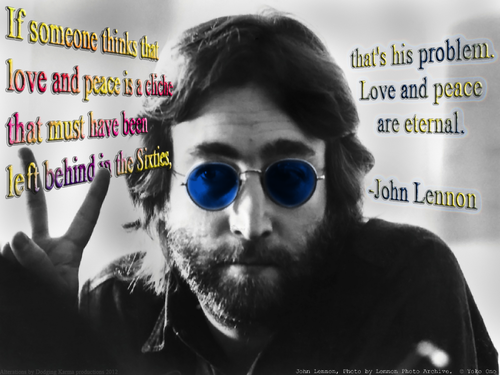 This John Lennon fan art contains 선글라스, 어두운 안경, and 그늘.